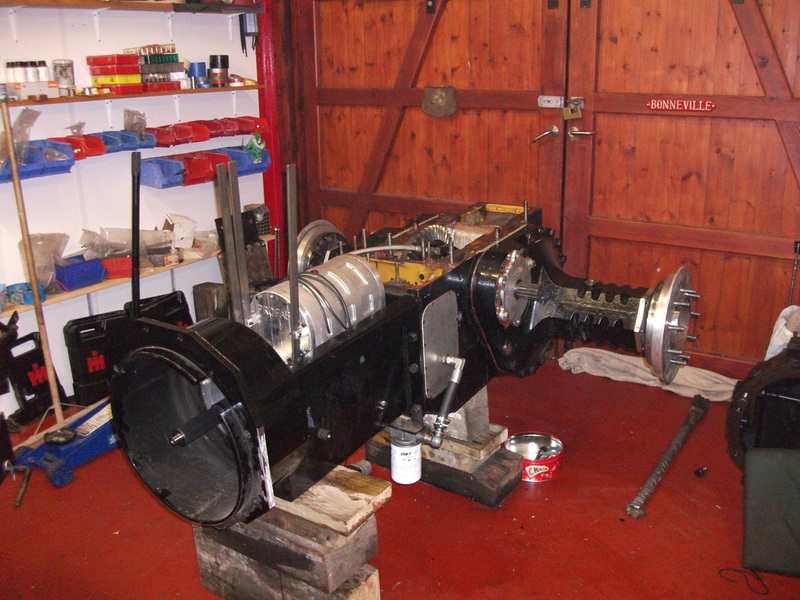 After several accidents with bell housings collapsing, the decision was taken to fit a Rob Van De Waal steel gearbox housing incorporating a steel bell housing. A Profab 4 speed gearbox was bought from Profab Engineering in America. 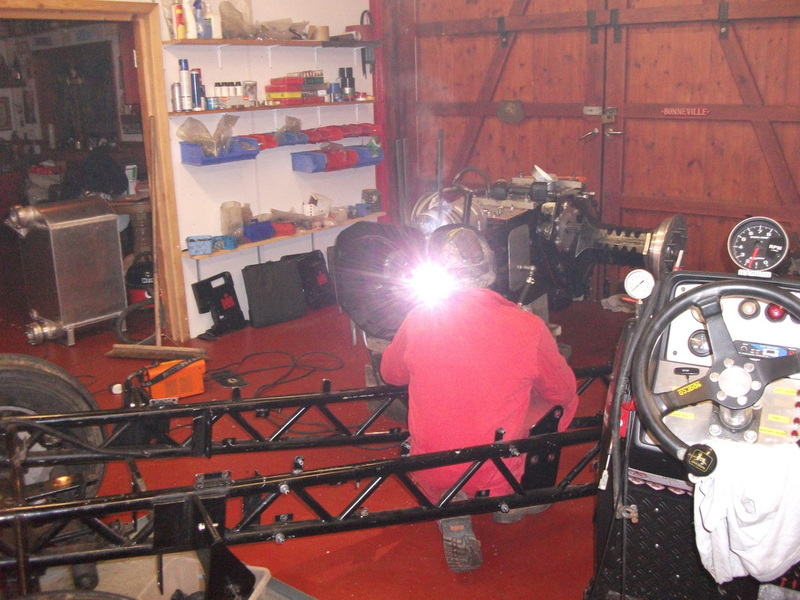 On a visit to purchase the gearbox housing as Rob Van De Waal's he talked us (John and Lorena) into buying Red Runt! But more on that later. 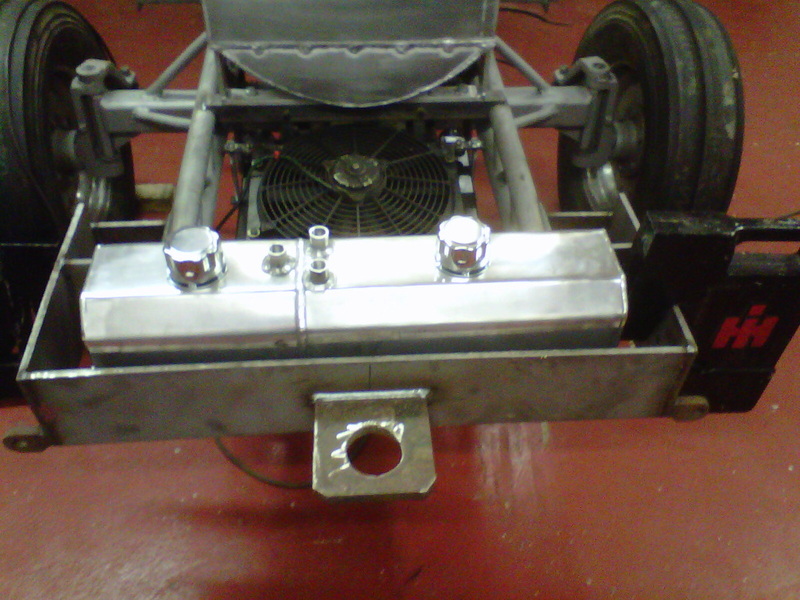 A new fuel tank was made by our good friend Pete Richardson (Pest). The chassis was cut and modified to lengthen the wheel base. It was decided that the next moove would be to buy an intercooler, that was made by Daniel from the Neighbours Nightmare team.